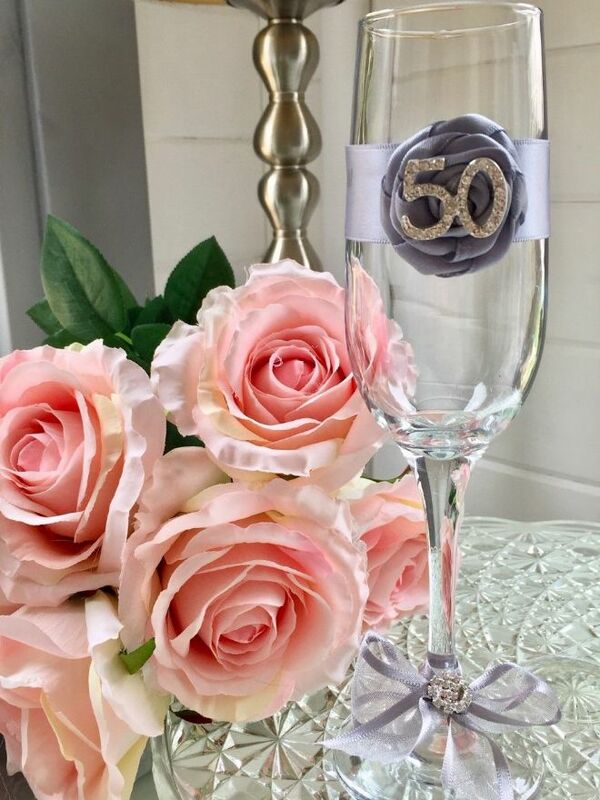 Stunning 50th Birthday champagne flute hand decorated with silver ribbon rose and elegant '50' diamante embellishment. 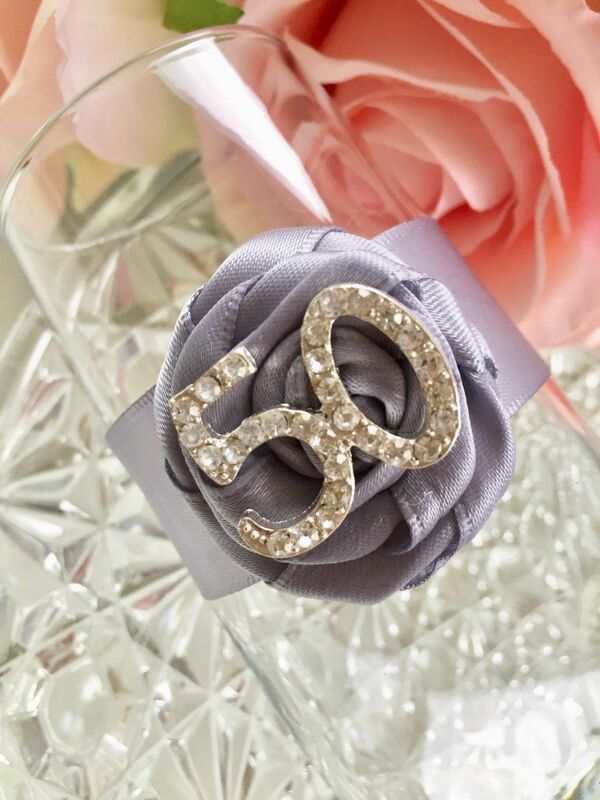 Beautiful keepsake gift for milestone birthdays. Please note we have other colour ribbons available. Please contact us with your requirement.